Navratri is regarded as one of the most significant and widely popular festivities which is dedicated to worship the nine different forms of Goddess Durga. The names of the nine different avatars of Maa Durga are Shailputri, Brahmacharini, Chandraghanta, Kushmanda, Skanda Mata, Katyayani, Kalaratri, Mahagauri, and Siddhidatri. The very first day of the Navratri festival marks the worship of Goddess Shailputri, the first form of Maa Durga. She is the form of Mother Nature. Shailputri, as the name suggests, is the daughter of mountains as Shail is regarded as mountain and Puri denotes daughter. She is also popularly called as Hemavati, Parvati and Satin Bhavani. Goddess Shailputri is also referred as Goddess Parvati. Read also: Maa Shailputri Puja Vidhi and Maa Shailpurtri Aarti. As per the Hindu beliefs, Goddess Shailputri is believed to be the incarnation of Sati. She was born as the daughter of King of the Mountains i.e Lord Himalaya. Goddess Shailputri is the most absolute and major form of the Goddesses as she is regarded as the wife of Lord Shiva. Maa Shailputri signifies the power of Shiva, Vishnu, and Brahma. Her image symbolizes a divine lady carrying lotus and Trishul in her hands, and riding a bull. It is regarded that Goddess Shailputri is the deity of Muladhara chakra which supports the beginning of the spiritual awakening of mankind. 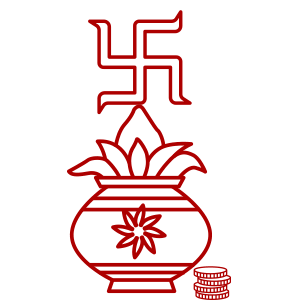 It is believed that worshipping the Muladhara Chakra, blesses one with the power to accomplish all things worthwhile. Get free Kundali Matching for marriage. As per the Hindu scriptures, it is believed that devotees worship Goddess Shailputri in order to live their lives in the most effective and the most successful way. The Moon God is governed by the Goddess Shailputri and individuals can get relief from any kind of bad effect of the Moon by worshipping the Goddess. As per the Hindu Mythology and Shiva Maha Purana, Devi Sati got married to Lord Shiva. King Prajapati Daksha was the father of Devi Sati and was completely against this marriage. Once, King Daksha organized a Maha Yagya where all the deities were invited except Devi Sati and Lord Shiva. Sati got immensely hurt and felt that her father is trying to insult Lord Shiva. Sati decided to sacrifice her body in the Yagna fire. When Lord Shiva found out about this, he went for a long penance and started living in isolation. In the absence of the deity, the universe got disturbed and disordered. Devi Sati took re-birth in the form of Goddess Parvati or Goddess Shailputri as the daughter of King Himalaya. However, with the utmost dedication and penance, Goddess Parvati found Lord Shiva as her husband.